Okay, so this post, story, whatever you want to call it is going to obviously be all about Jamberry. 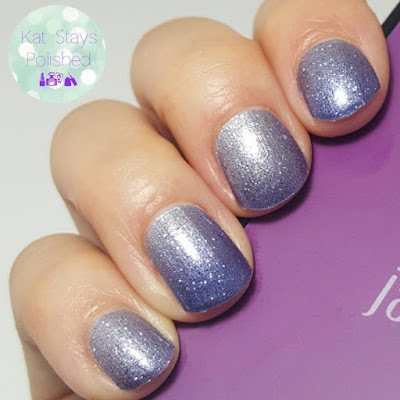 So a few weeks ago, my friend Judy of BeautyJudy posted about her ups and downs with Jamberry and I really enjoyed reading it. She was very honest and it was the type of post I admired. Still, I was not convinced nor was I willing to give it another shot. I did both of these as accents and it was TERRIBLE! I used a hairdryer since I did not have the Jamberry mini heater. I did try them at least once more and didn't post about it. This was back in 2014 I believe and since then I have been invited to countless parties and have attended maybe 2 to support my friends. I was actually getting really frustrated. So fast forward to the end of 2015 - I went to my neighbor's New Year's Eve party and while we were both drinking (I was probably....most definitely....more drunk than her) she was like, "RSVP TO MY JAMBERRY PARTY!" So then of course I go on about how I tried it, I hate it, the polish is okay, but I really just don't want anything to do with it. By the end of the night, I had RSVPd to her Facebook party because she was my friend and I was at least going to support her there. Here I am, waiting for this party to start and I'm like, "Oh man, I know this consultant, she knows one of my other friends who hosted a Jamberry party - WHAT? Dangit!" At this other party I attended in late 2014 I believe, I purchased a nail lacquer - again, to be supportive of my friends who were hosting parties. I wanted them to get free stuff! 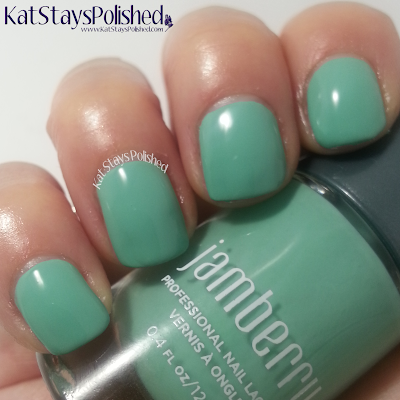 I actually REALLY liked the nail polish from them but at $15 a pop, I wasn't about to get all excited about Jamberry. Nope, wasn't going to happen. Okay, back to 2016 at this Facebook online party. The consultant was very enthusiastic but also very informative and honest. I took advantage of being in that party to ask all the questions I could. She offered up information at every second she could. I even had a back and forth email with her getting more information on becoming a consultant, how parties were run, how much things were, yada, yada. I took this opportunity to really think over the past 2-3 years and my experience with Jamberry. I realized that the BIGGEST complaint that comes out is that the consultants are pushy and they are disrespectful towards "bad nail art." I realized that NONE of my friends who sold Jamberry were assholes and none of them ever did that. With that being said, it took me a month to decide on becoming a consultant. Being able to become a consultant was going to give me the ability to do a few things. The first is bring in some extra income. We all need a little extra $$ for things, right? Like more nail polish and makeup! The second thing it was going to allow me to do was host parties for my friends! I learned a LOT about parties. I learned that if someone hosts a party, it absolutely DOES NOT mean they are selling! This is actually a GREAT way for someone to get acquainted with Jamberry because you pay for nothing and earn FREE wraps/products if sales reach a certain goal. All of this stuff is actually available on their website. They are very transparent about earnings, rewards, etc so I'm not really sure why I hadn't looked into this earlier. So here we are in February 2016 and I am currently hosting my launch party. With my new consultant kit, I got 4 sheets of wraps included. I chose to do my own "wear test" and also a full manicure with them to make sure I knew the product inside and out. My wear test consists of OPI DS Glamour, Incoco nail appliques, Jamberry wrap, Julep wrap. This is a picture taken right after application. This is my swatch hand with a full mani of Jamberry Serenity Ombre. I will say that after a few days, sure, there's tip-wear, but nothing terrible. I believe Jamberry has GREATLY improved their product over the years. That and having the right tools to do these manicures is key. I know this post is getting really lengthy so I will leave you with a list of important things to take away from my story. First and foremost, I will NEVER be a pushy consultant nor will I push the product on you or try to change your feelings about Jamberry. I've gone so far as to create a group on my personal FB page to exclude all my blogger friends/nail enthusiasts from seeing anything Jamberry. I do this for their sake and mine, haha, and out of general respect. I will be posting a few things about Jamberry every now and again. If you want to see all of my Jamberry things, you are more than welcome to like my FB page dedicated to it. It is actually a MUCH better experience when you have the right tools and take the time (much like with nail art or polish) to perfect your manicure. The heater is a great tool and I plan to give one away at every party that is hosted with me. I was once opposed to buying the accessories/tools made to be used with the product. I get that this might be a "this is how they get you" type of thing but if you win it for free (through me) then what's the risk? 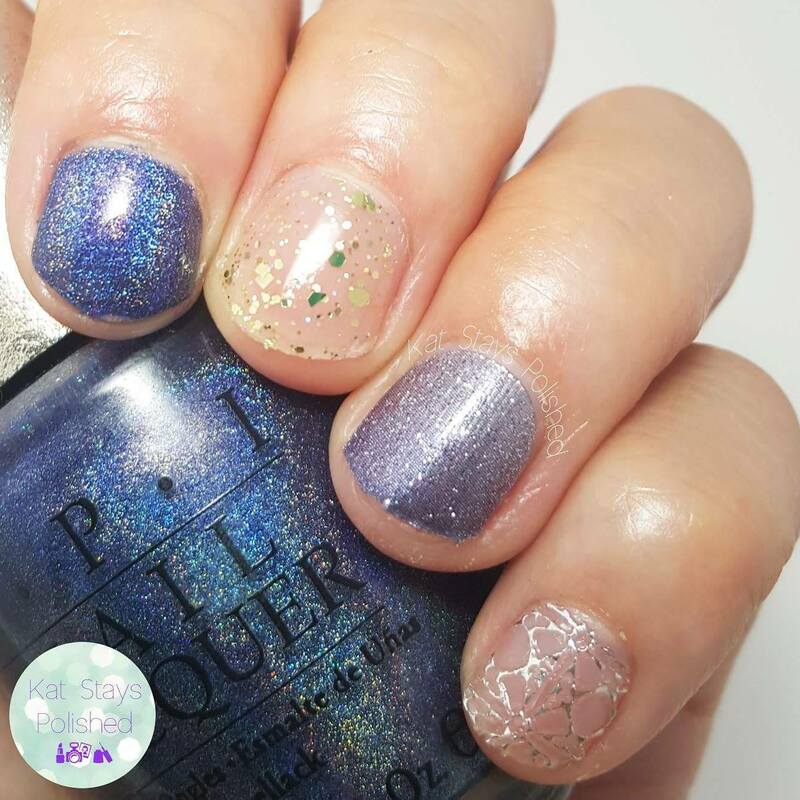 I will never in my right mind give up doing my nails, nail art, or blogging about polish. Right now, my 13-month old consumes my life. I wouldn't have it any other way but in order to give her my time, I put my blog off until after she goes to bed. With her schedule and my job, I have no more than 3 hours a day to work on my swatches, pictures, and editing for my blog. Being able to take 30 minutes of personal time to make my nails look pretty for a week without any mess is pretty awesome. Also, since Jamberry sells Juniors and Mommy-and-Me sets, this is something we can do together when she gets older. I plan to feature one wrap a week as an accent to show off both my Jamberry finds and the awesome polish I own. They now have the Disney Collection by Jamberry and they are the cutest wraps! I can't even help myself! Welcome to the end of the post. I give you my greatest thanks and gratitude if you took the time to read everything I had to say. I would love to know your opinions and I am here to answer every question you have. It wouldn't be one of my posts without one of these at the end. Love to all! Good luck in your Jamberry ventures, Kat! I am having a blast selling and being my own biggest customer, lol! Wow ! the post is nice.I loves nail polish and I have a huge collection of different colored nail polish.Thank you for sharing the post.